Compensation for this post was provided by Defense Mobile via MSB New Media. All opinions expressed in this piece are my own. 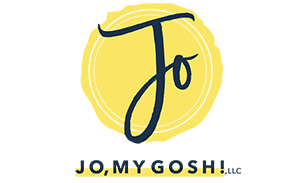 When I first published the 10 Must-Have Apps for Military Spouses, I was excited to see how many people enjoyed the post! I was also thrilled when I began receiving comments and emails offering other suggestions that military spouses find useful in their daily lives. I’ve compiled those suggestions below. Enjoy! The Commissary offers an app for both iPhone and Android. It has saving opportunities as well as contact information and will alert you to contests and other special promotions taking place. This app will calculate military pay including BAS and BAH for active duty and reservists. The Military Pay Calculator was not created by the DoD, so there may be discrepancies, but reviews put it as a very reliable way to figure out your pay. Sandboxx allows users to send physical letters and photos to someone who is deployed or separated from you through your phone. Your loved one even gets a postage-paid envelope so they are able to easily return your letter with one of their own. The service does charge a fee. I never had a countdown calendar for John’s deployment– I didn’t know the date he was coming home until a few days before. Instead, I counted up; however, I know many people find comfort in a countdown calendar. Doing Time is a free app that countdowns based on the specifications you program into it. The Cartwheel app from Target offers even more savings when you use it in-store. You can stack coupons and Cartwheel offers to save more cash. This app comes from the immensely popular savings site, Retail Me Not. It offers a mobile version so you’re able to look up codes and coupons that will help you save money while you’re shopping. Get military related news delivered to your phone. I don’t use this app, so I can’t vouch for it, but some spouses find it useful, so I had to include it! If you don’t have Facetime on your phone (hi, fellow Android users! ), Viber is a free program that will enable you to video chat, call, and text anyone who has the program for free– you just need to be on wifi or have a signal. It’s a great alternative for international phone calls. Home2You is an app that helps families keep in touch. There’s a countdown timer, a time-zone tracker, the ability to send videos and photos securely, and a bunch of other features. Quite a few spouses have said that this app is great– a lifesaver during deployment. And when it comes to apps, it’s so important what kind of service you get. If you’re searching for a military-friendly cell phone service, check out Defense Mobile. Defense Mobile is a 4G LTE service specifically for veterans, service members, and their families that runs on the nation’s largest and most reliable networks and is committed to support its customers through a 100% veteran-staffed member care team. All of this means that when you PCS, go TAD/TDY, or retire, you don’t have to switch carriers. Defense Mobile also offers a variety of phones— from the high-end, latest-and-greatest models, to the no-frills, get-the-job-done phones. And by the way, Defense Mobile donates 10% of its net profits to military and veteran causes and organizations. And talking about new phones and free stuff… Defense Mobile is currently offering two exclusive opportunities. Get 25% off 3 months of service byentering the promo code SIM25 at checkout after you purchase a SIM card or new device and plan. Get a Free Moto G (1st Gen) when you purchase a data plan of at least 3 GB (Delta Plan or higher) and use the promo code MOTOG at checkout. Check out the new-and-improved Defense Mobile website that makes it easier to purchase a phone (or get one free) and choose economically friendly plans (as much as 50% lower than other competitors). Defense Mobile also has a risk-free, 30-day trial period, which is fantastic– especially when shopping around for a plan that works for you. Follow them on Twitter and Facebook for updates and news. 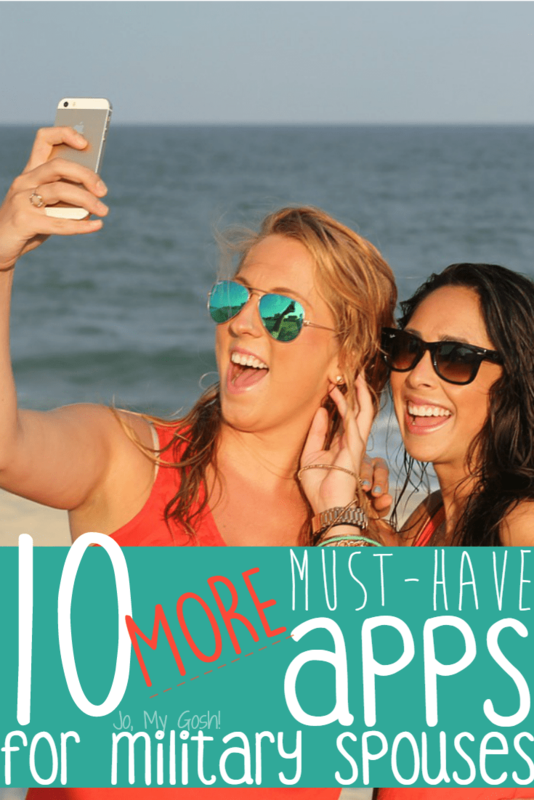 Of course, this still isn’t an exhaustive list of apps for military spouses– what else am I missing? PS. Check out the first app post! I’m a big cartwheel app user, but its so dangerous when on Sunday morning, it “bings” and says – hello Cartwheel user! Here are your discounts this week! Oh – such a trickster! network marketers as well as publishers. I love my Cartwheel app so much. This is because I’m at Target weekly.